John A. Tyson, Andrew W. Mellon Postdoctoral Curatorial Fellow, National Gallery of Art. Hans Haacke (b. 1936, Cologne) is one of the leading figures of conceptual art and one of the most important political artists working today. In 2013, the Collectors Committee of the National Gallery of Art made possible the acquisition of Haacke’s Condensation Wall (1963–1966/2013), a breakthrough kinetic work from the artist’s early career. Reflecting Haacke’s involvement with the West German-based group Zero, Condensation Wall is part of a set of sculptures, includingCondensation Cube and Condensation Floor, that combine geometric shapes and organic materials to reveal physico-dynamical processes. Contemporaneous with minimal sculpture, Haacke’s work transforms the industrially fabricated containers of artists like Donald Judd and Larry Bell into barometers: depending on the conditions of the environment, the water inside condenses and evaporates into fog or “rain.” The transparent boxes frame this natural process, the gallery that displays them, and the surrounding artworks. 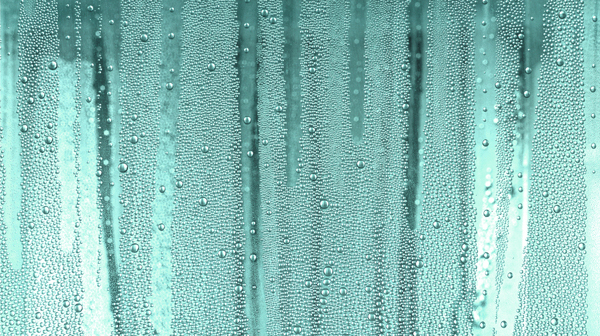 In this lecture, delivered on December 14, 2015 as part of the Works in Progress series, John Tyson considers how Haacke has employed weather for both aesthetic and political ends, exploring the way meteorological projects, such as Condensation Wall, can heighten viewers’ awareness of the normally invisible systems at work in art institutions. This entry was posted in Artists & Weather, Weather History. Bookmark the permalink.